As a little boy in Beirut, Lebanon, Antoine would come to watch his grandmother cook. It fascinated him to see her knead bread, chop vegetables, and take a pinch of this and a little of that from mysterious little jars. Antoine was an accomplished chef by the time he joined the Lebanese Army in 1947. Though he wasn’t an army cook, he couldn’t stay out of the kitchen. The special little meals he fixed while off-duty quickly caught the attention of the officers. 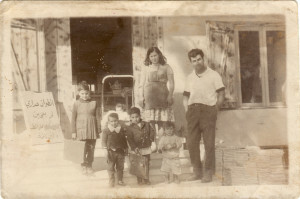 Antoine soon married Leila, a lovely Lebanese girl, and together they produced nine healthy children. The children come in later in the story. Together they opened their first restaurant on a hillside in Beirut. Lebanon’s civil war forced Antoine and Leila to leave their country for a home where their children’s education would not include how to use an M-16 rifle. Ironically then, it was the strife of a war that brought America the good fortune of having authentic Lebanese restaurants. 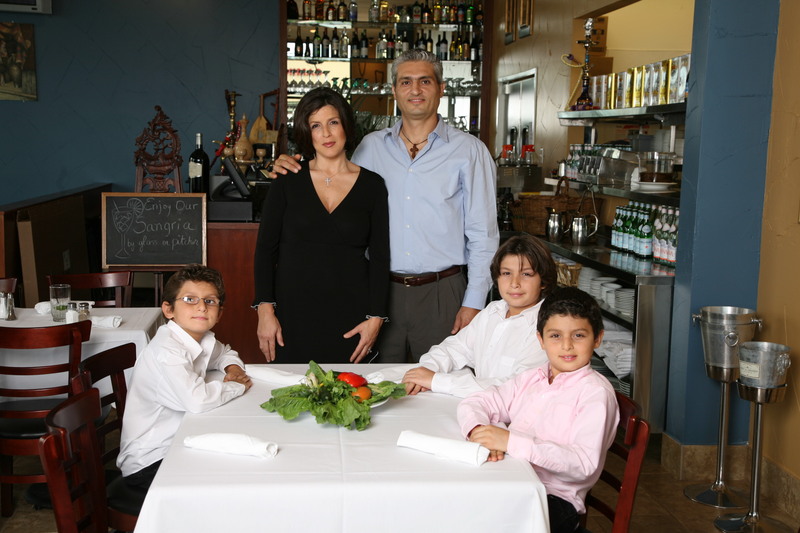 For over 30 years now, Antoine, Leila and their children owned and operated authentic Lebanese restaurants in Fort Worth, Dallas and Las Vegas. One of the nine children is Mariz who was destined to meet Issa, but first lets meet Issa’s mom. Dia was born in Amman Jordan where she learned all the wonderful Jordanian cooking. She worked as a seamstress to the King in her spare time. Dia was one of 8 kids and then had 8 kids of her own. Cooking was unavoidable with this family. As soon as someone mentions a gathering, Dia is calculating how many cups of rice and how many pounds of meat she would need to prepare the main dish. Issa was one of her sons and was a professional at tasting and knowing good Mediterranean food. When Issa and Mariz got married, they never imagined that they would be in the restaurant business, but as the family grew with the addition of four boys, they found themselves going back to their roots and continuing what their parents taught and built into them, the love of authentic Mediterranean food. Khoury’s Mediterranean Restaurant was opened in 2006 in Las Vegas and has recently made its new home at 9340 W Sahara Avenue #106. A full service restaurant with all the family recipes at their best. The Khoury Family present to you authentic Lebanese cuisine with recipes that were handed down to us through the generations. All of our menu items including every sausage, sauce, pickle and pita are made from scratch with the freshest ingredients and spices right in our kitchen. Enjoy your home cooked Lebanese meal!